I have been loving making recipe roundups lately for you all, so let’s keep it up! Once a month, I will try to make some sort of fun recipe roundup to share. This month – seeing as it is February – it ONLY seems reasonable that we have a Valentine’s Day themed roundup! 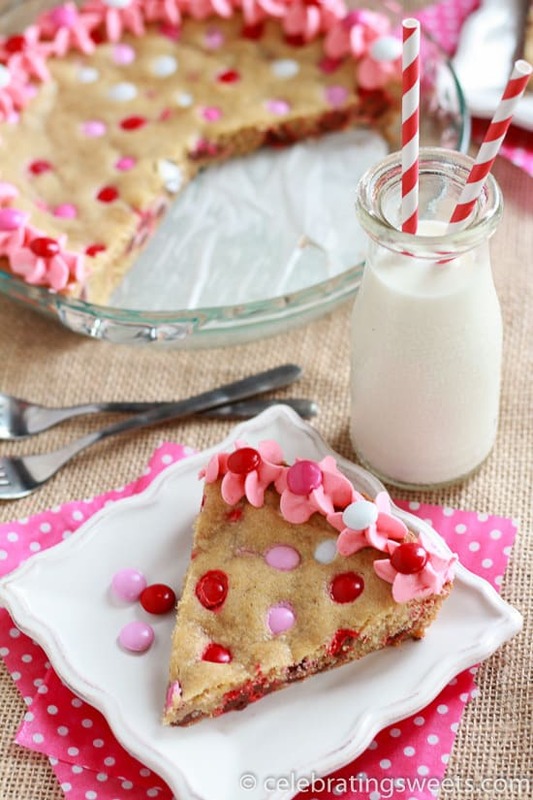 Here goes nothing: 14 Fun Valentine’s Day Desserts for February 14th. Honestly, what a strange holiday! All about love, flowers, hearts, and candy. Some people LOVE it – some people HATE it. But there is no escaping it! Just as the New Years decorations are being taken down – up come the pink and red hearts! Why do I have to make Valentine’s for all my classmates? WAIT, I GET CANDY FROM EVERYONE! I LOVE THIS DAY! This is awkward. I am awkward. Everything is awkward. I hate everyone. Valentine’s Day is stupid. In a Relationship 0-6 months, scenario 1: THIS IS AMAZINGGGGGGG – I AM SO IN LOVE – I LOVEEEEE Valentine’s Day! In a Relationship 0-6 months, scenario 2: Must. Break up. Before. V-DAY! In a new relationship 6-12 months: What a magical day! You are so special – we are so special. Here is the best Valentine’s Day gift I may ever get you. 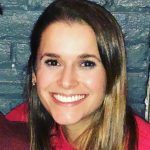 In a long-term relationship: I am out of gifts, what the heck do I buy? In a long-term relationship/married, with kids in house: Crap – its Valentine’s Day? Love ya! In a long-term relationship/married, with grown-up kids: I have no idea what you all are thinking but congrats on making it this far! Seriously – I cannot believe how much time I just spent thinking about the above progression of thoughts and feelings towards Valentine’s Day. OY! 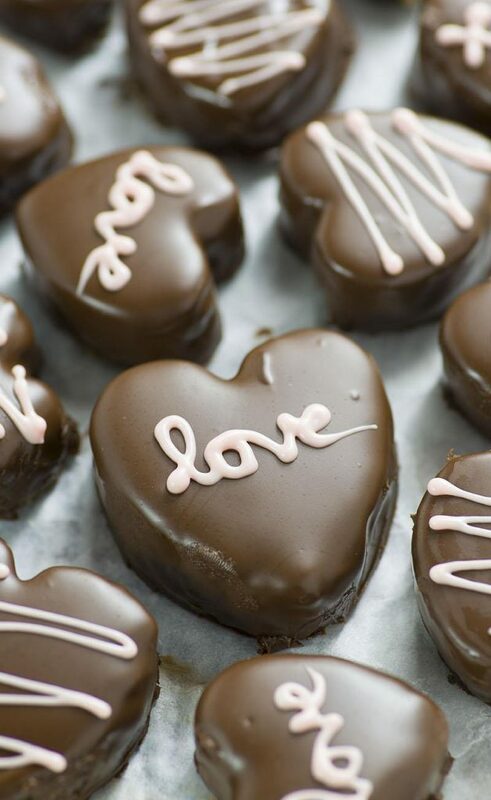 You could probably care less about my thoughts regarding Valentine’s Day so let’s get on to these fun recipes! Chocolate. Ganache. Brownies. What is not to like? I’ll be honest – I think that boxed brownies are pretty hard to beat. They are rich, fudgy, and full of flavor. 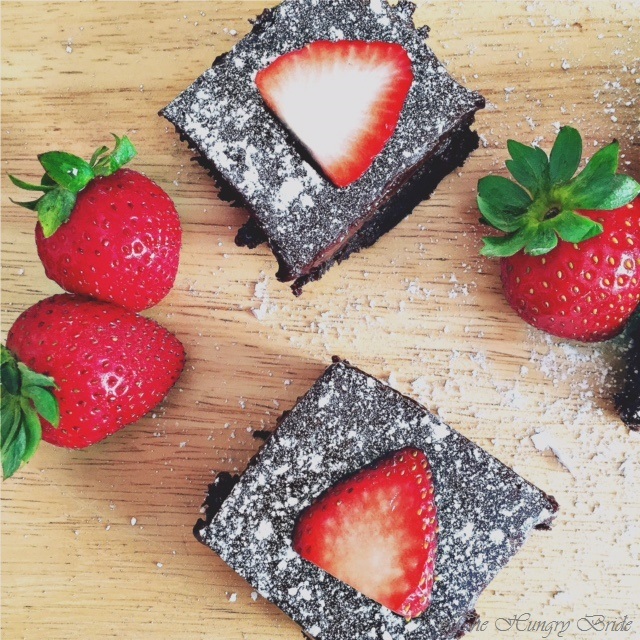 Having said that – these brownies just meat beat the box! Try them for yourself! 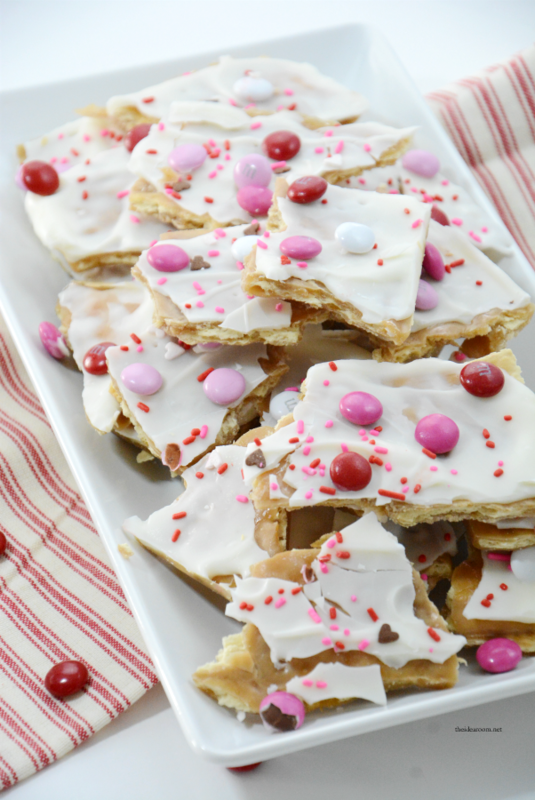 Simple, easy, delicious, yet full of the Valentine’s Day spirit. 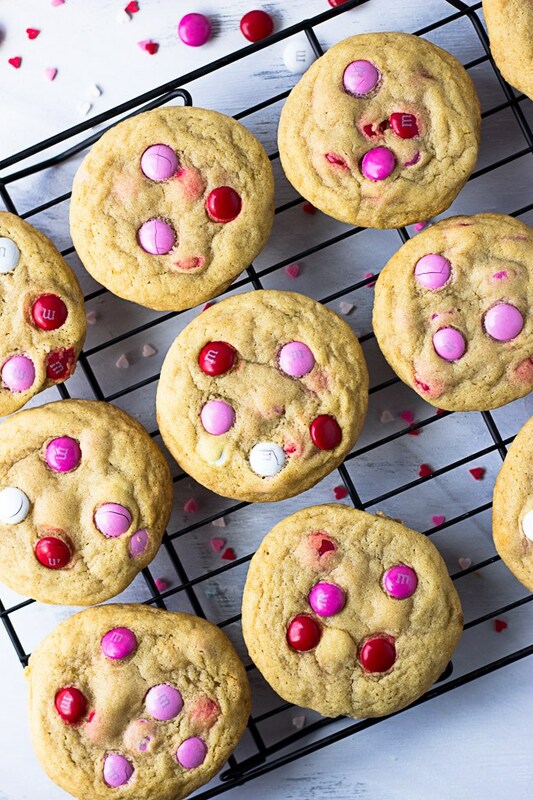 This Soft M&M Cookie recipe by Fork in the Kitchen is a no-brainer. 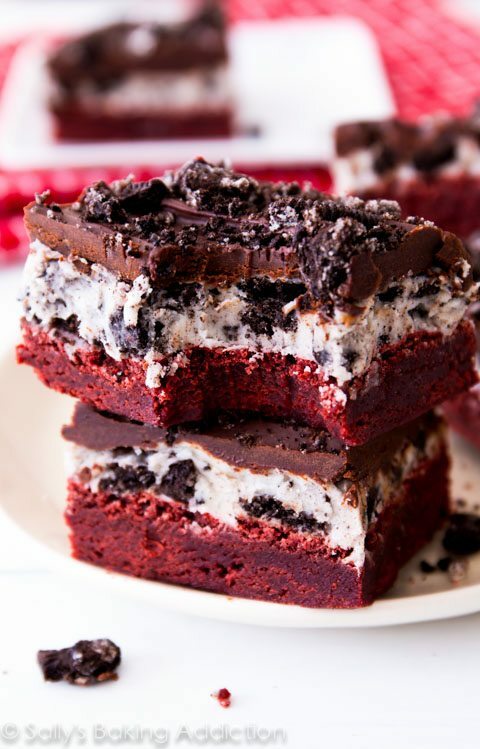 I’ll be honest, this isn’t really a Valentine’s Day dessert – but it looks SO GOOD!!! I had to include it. 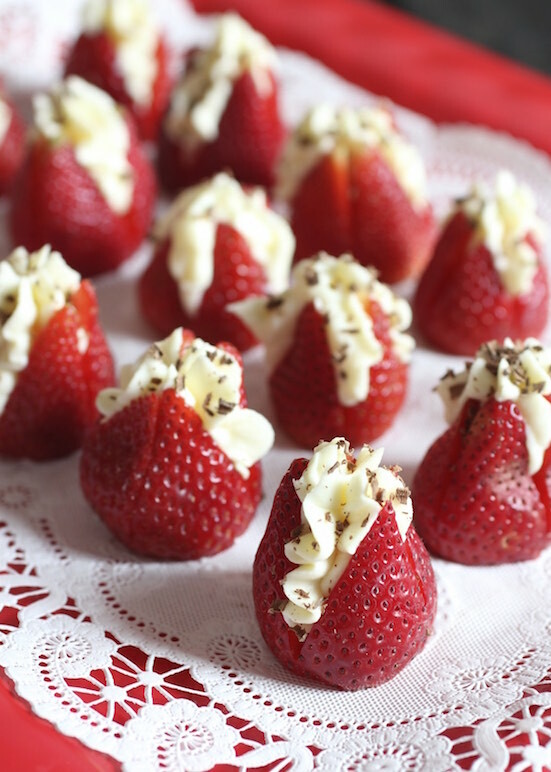 I have no idea why, but strawberries have always been considered a romantic dessert. Here’s a fun “cheesy” twist on the romantic classic. 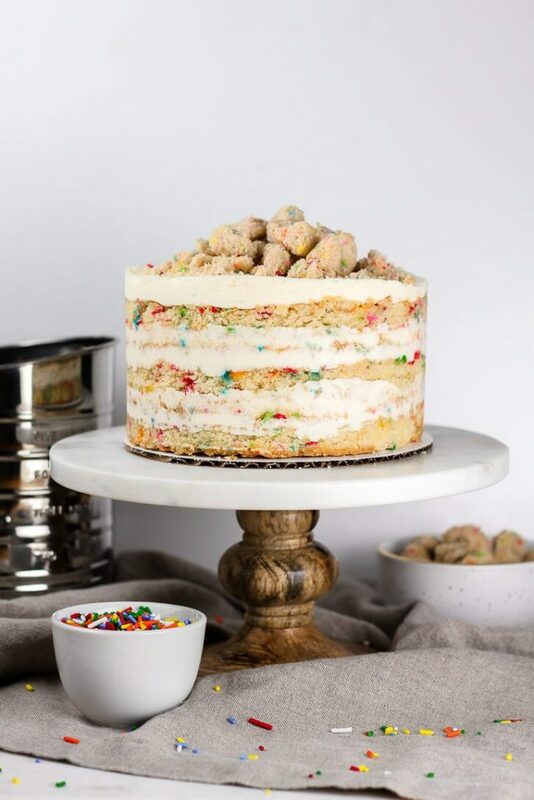 Who doesn’t love a good cookie cake or cookie pie??? No one doesn’t! Because it’s amazing!! How CUTE are these? And DELICIOUS! What is better than pie? MINI PIES! And these ones are HEART-SHAPED! Not into strawberry filling? There are plenty of other mini pie filling recipes out there to choose from – cherry, raspberry, apple – you name it, you can find it! Adorable and DROOL-WORTHY! 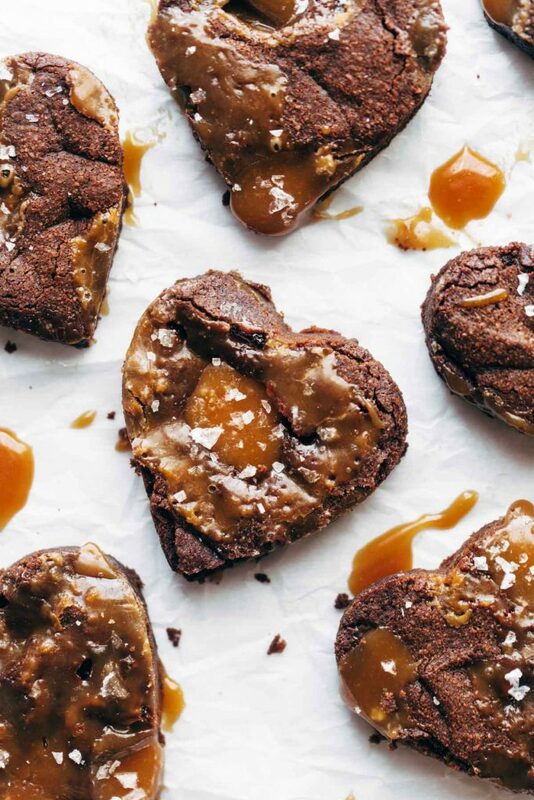 These Salted Caramel Brownies by Pinch of Yum will absolutely crush the competition at your local Valentine’s Day bake sale. 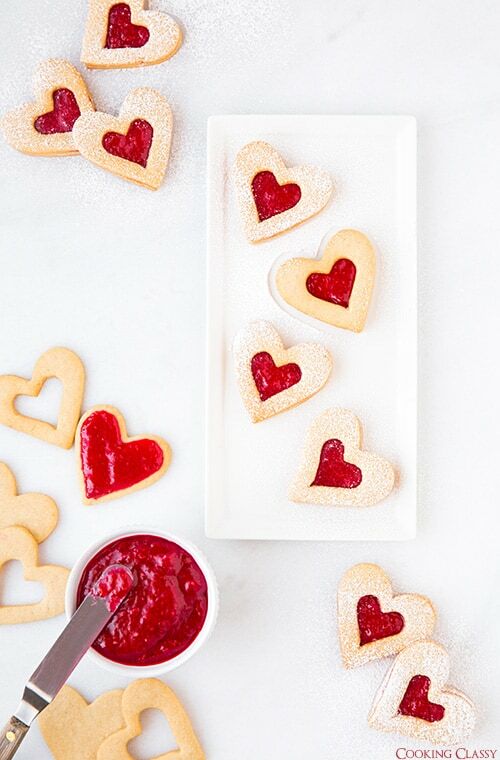 Impress the masses with these beautiful heart-shaped Linzer Cookies. OMG. Drooling. Drooling everywhere. Uncontrollably. I love Oreos. I love Brownies. Done. 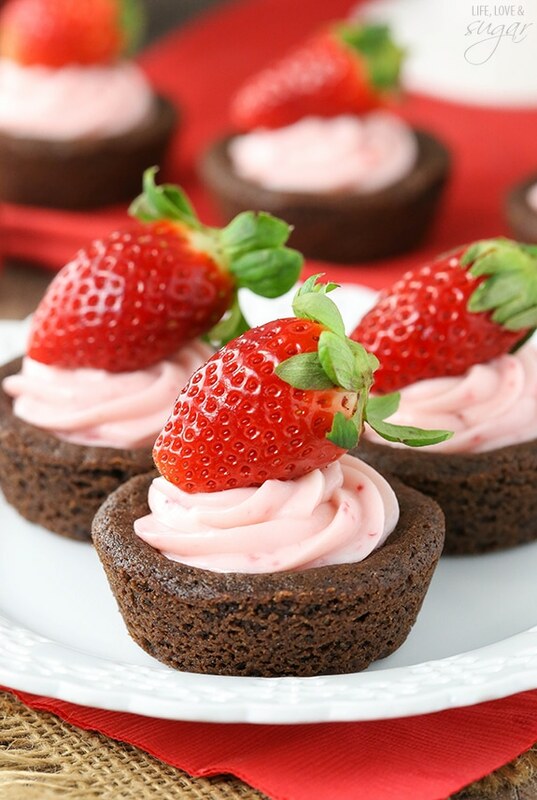 I love these cheesecake cookie cups by Life, Love and Sugar! They are so fun and so perfect for Valentine’s Day. 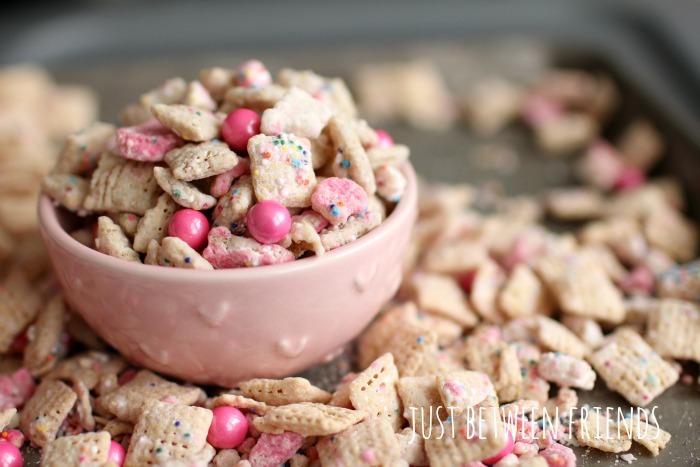 Because sometimes you don’t need a fancy dessert… Muddy Buddies all the way! 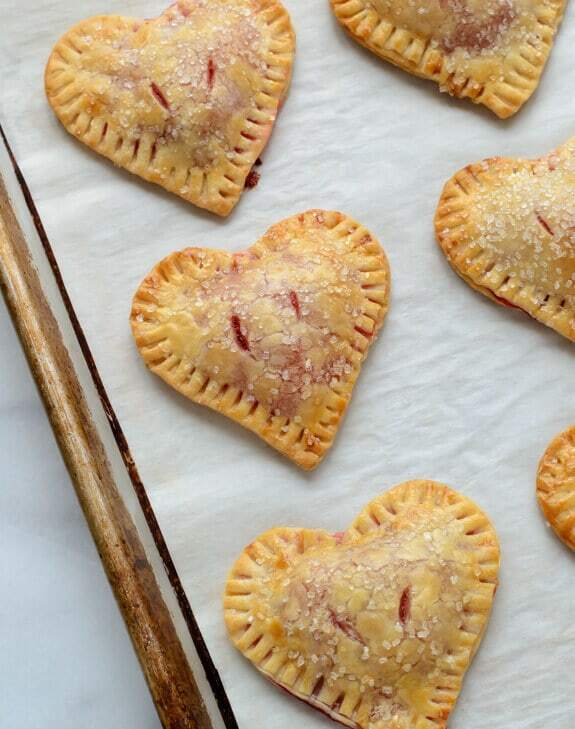 Not everyone has the time or desire to spend hours creating a Valentine’s Day treat. I love the idea of these kebabs because they are so simple and easy! You could even buy pre-made brownie bites! 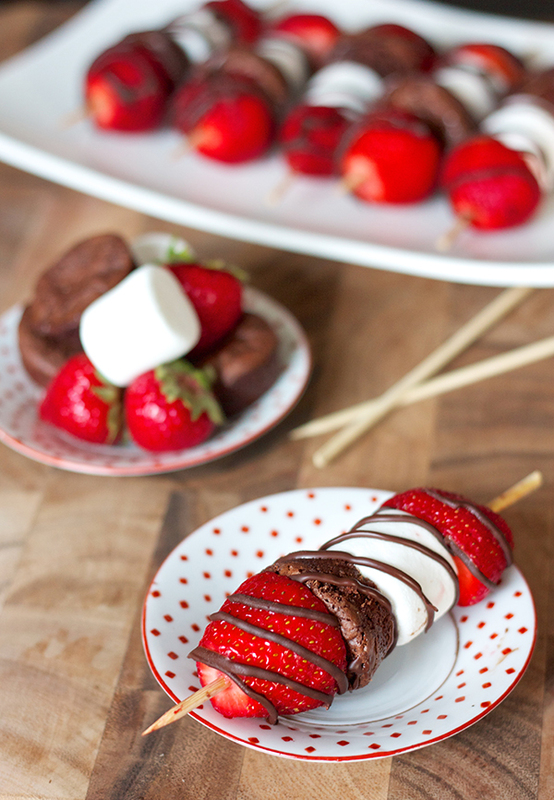 Then simply skewer everything together. Easy peasy lemon squeezy! Thanks Becca!! Glad you enjoyed my silly sense of humor – AND once again, thank YOU for the amazing recipe!